Natural Agate offers Geometry Set. 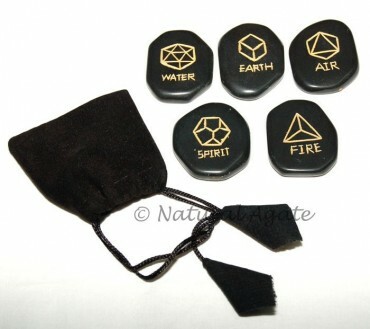 It has five black stones with the symbol of five elements of nature. Wiccan and Pagans channelize energy of these elements to cure ailments.